Attention to all bloggers and fashionistas! Have you ever feel confused or insecure on deciding which shoes to wear for your daily activities? I'm pretty sure that most girls love to wear fabulous stuffs, which make them feel comfy at the same time. But the reality is, we ended up choosing fancy shoes and ignoring the comfort of wearing them, and vice versa. So how will girls deal with this long-term problem? Will we finally find a way? I tell you what, do not worry cause i'm here to solve your problem. 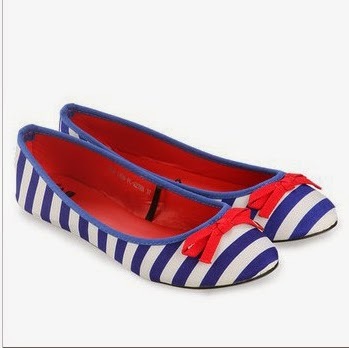 The Little Things She Needs shoes collection by ZALORA ID is the solution for that! 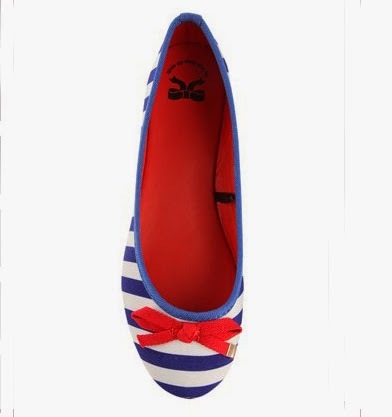 With up-to-date styles and affordable price, you can get the comfiest yet most attractive shoes in town! 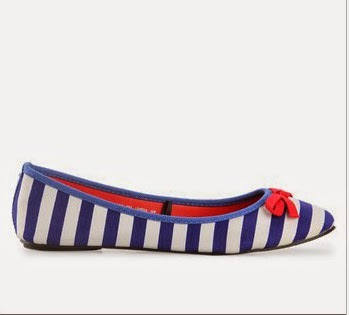 My favorite is absolutely these Artha Flat Shoes with blue stripes and red ribbon. I'm absolutely in love with them! Plus, they only cost 199,000 IDR! 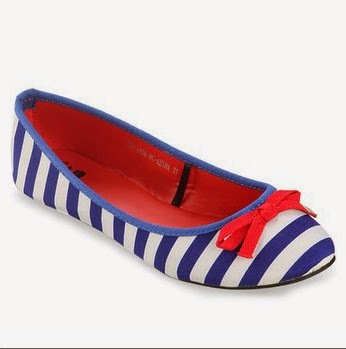 ZALORA ID also offers the comfort on payment method for their customers. One of them is by "COD" (bayar di tempat) which is really practical and reliable. Just sign-up to the website and click the products you'd like to buy. Next, fill in your data and address, then courier will deliver it safely to your place. What are you waiting for, girls? Click HERE to head on to their page and place your order before they run out of stock!